Where simple fabrics are used, a little trim goes a long way in personalising your design. 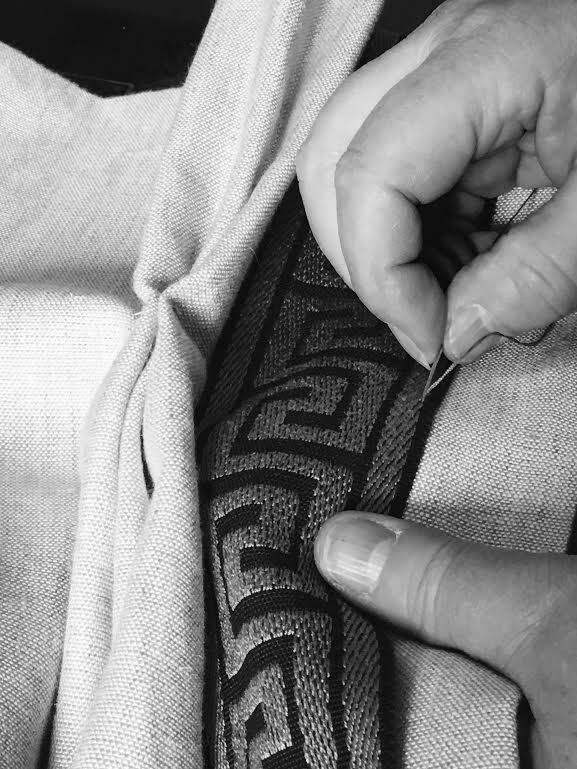 Braids, ropes and trimmings help us customise and refine a design, adding your personality and taste to simple but special pieces. We can help choose the best trim for your fabric, whether it is a gimp trim for a chair or tassels for a more classic/traditional curtain or cushion. We have a wonderful range of trimmings in our library, which start from just €5 per metre. We also supply tie-backs if required. Contact us to see our full collection of trimmings.